The fairies are here, in part, as support for the lifelong lesson that our best character developments come, at times, through adversity. 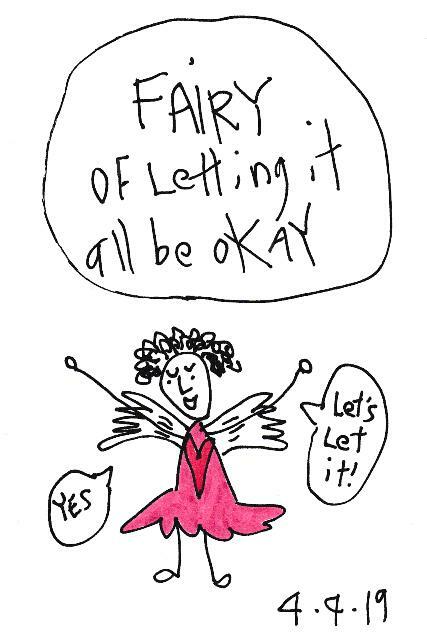 And, just in time for this blog writing, I’ve come across a newly drawn fairy that supports this idea. 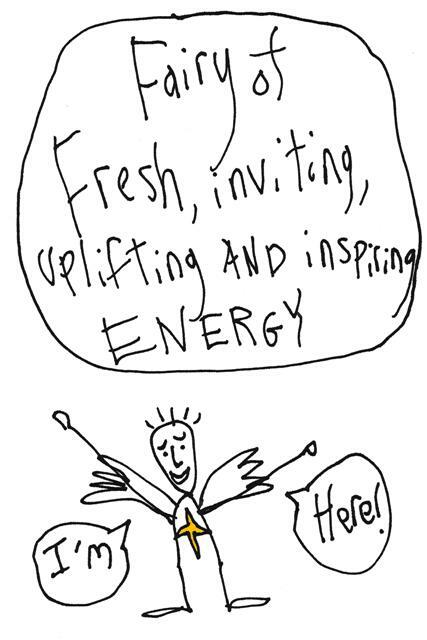 Please join me in welcoming…. When the 8 pillars of Joy were introduced I felt I was given a great gift. Now, when I find myself in a situation that feels really thick in my mind OR I’m having a feeling of tightness in my chest OR I’m flustered by my inability to fit all the things I want to into a period of time, I think of them. They are: Perspective, Humility, Humor, Acceptance, Forgiveness, Gratitude, Compassion and Generosity. We’re wishing you all the best! We’ve begun the Year of the Pig! Every year I get excited about the largest holiday celebrated on Earth, Chinese New Year. It begins on the first new moon of the year and continues on until (15 days later) that moon is full. The days between these two lunar happening each has a focus. Like the Birthday of Millet and the Day of Stone. The final days are devoted to the creation of lanterns for the final event of the holiday, the lantern festival. So, as we welcome this huge full moon, millions of people will be dancing in the streets. Isn’t that all great fun? Good bye, kind Year of the Dog. Hello, you wonderful Golden Pig! From what I’ve gathered, this year will bring us all fortune of many kinds. So, please find ways to enjoy good food and allow your body to do fun things. “Gung Hay Fat Choy!” says my friend Lucy. Emily and the Bluebird Fairies. p.s. Our hand will be in the ‘Show of Hands’ at Penny Cluse from March 4th till it’s auctioned off on 28th. Rough draft- come to Penny Cluse to see the finished one. We hope you’re resting after a full holiday season of doing, being and feeling much. This first weekend holds the first new moon of the year. It’s a wonderful time to sit still and allow the new in. 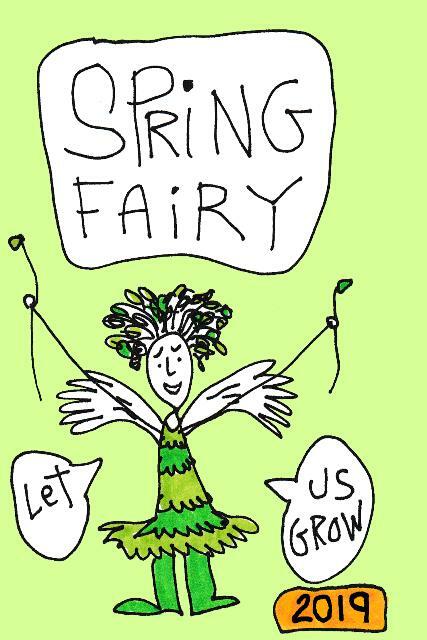 I was looking through fairies today and found this one and it seemed perfect to share with you all. Onward we go with our wishes and dreams and intentions. Be well and do have fun!! At the foundation of this workshop is a text that came to me in a remarkable way this summer called ‘Five Lessons of Geese’ (click to read). As we move forward in these uncertain times it’s important to find community. A wonderful assistance I’ve found for this is Jen Hofmann’s American’s of Conscience Checklist (click to connect). She’s a fan of Bluebird Fairies and I’m a fan of the way she’s engaging us in positive actions that assist us in creating communities we want to create.